PRE-HEAT the oven to 200 degrees Celsius or 390 degrees Fahrenheit and line the oven tray with parchment paper. RINSE the radishes er remove the greens. 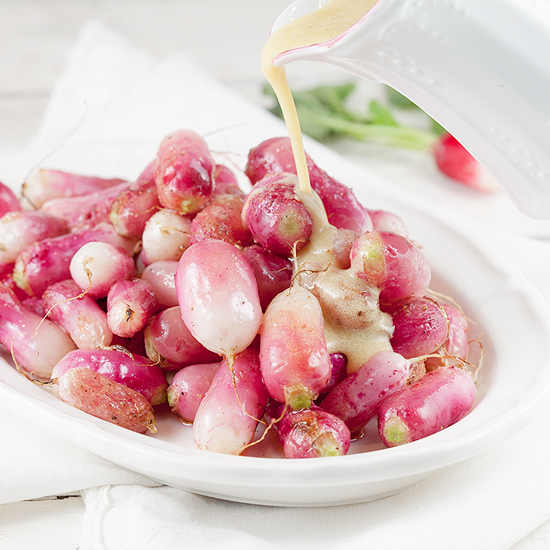 DIVIDE the radishes over the oven tray and DRIZZLE with olive oil, honey, pepper and salt. 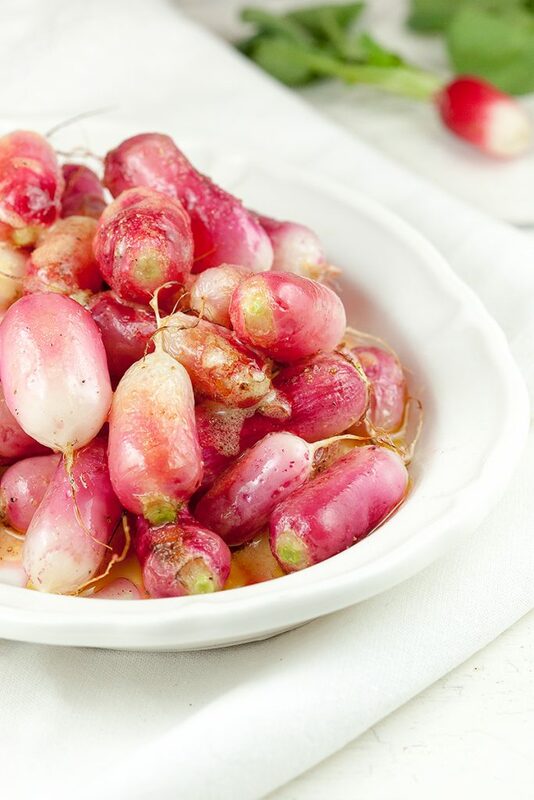 ROAST the radishes in the oven for about 10 minutes. 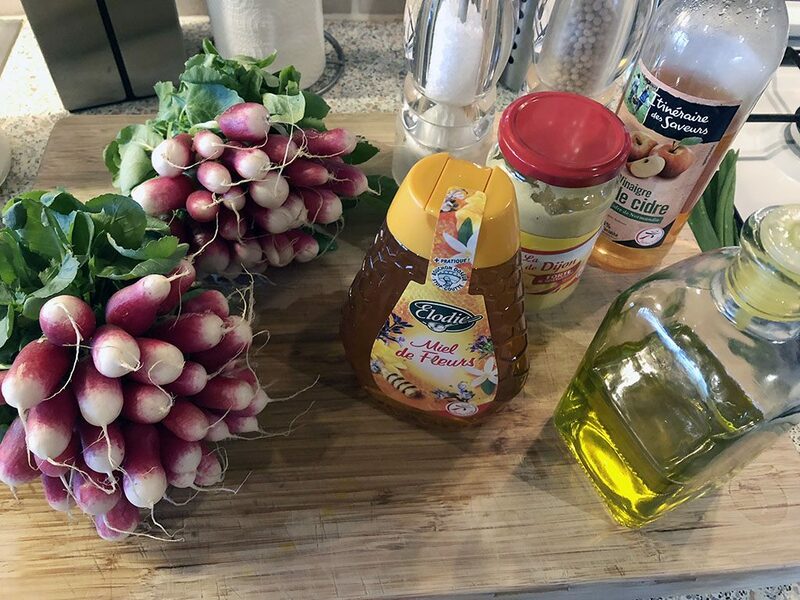 Meanwhile create an easy mustard dressing. Use a whisk to combine mustard, pepper, salt and apple cider vinegar. Slowly pour the oil into the mixture and keep on whisking, you’ll notice the oil and vinegar will combine very well. SEASON with pepper and salt. 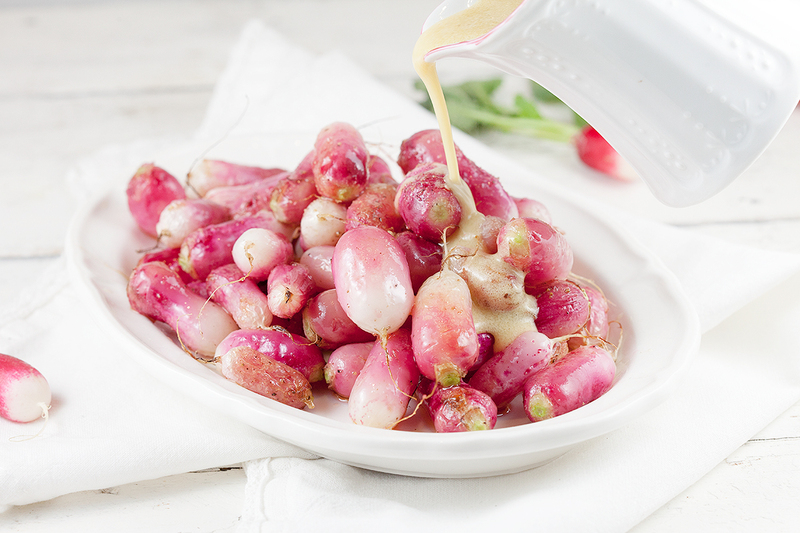 SERVE the roasted radishes with mustard dressing, a delicious side dish for meat and fish. Enjoy!